I just read a hilarious article on the 5 germiest tourist attractions - a list compiled by editors at TripAdvisor.com. So, let me get this straight. This rock is kissed by up to 400,000 people a year (source). Gross. And it doesn't appear to be an easy task. 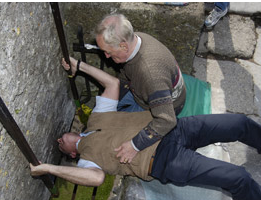 According to the main site, "Once upon a time, visitors had to be held by the ankles and lowered head first over the battlements. Today, we are rather more cautious of the safety of our visitors. The Stone itself is still set in the wall below the battlements. To kiss it, one has to lean backwards (holding on to an iron railing) from the parapet walk. 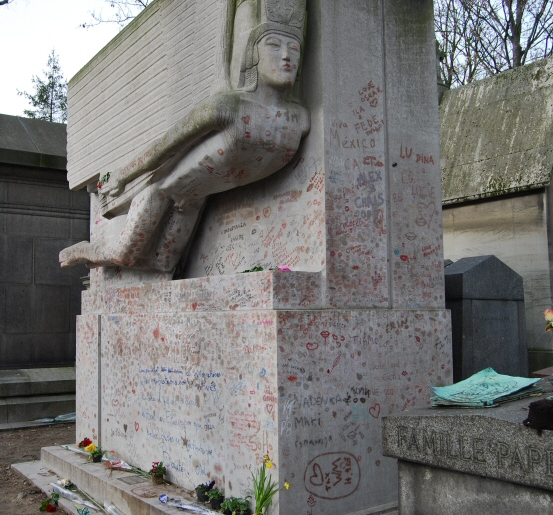 The prize is a real one as once kissed the stone bestows the gift of eloquence." Eloquence? Fortunately, you are unlikely to catch anything from kissing this rock, unless you follow an exceptionally sloppy, saliva-dripping kisser. This one is the worst of the five, in my opinion. I've been to Pike Place Market - it's a cool place. However, I must have missed the Market Theater. Apparently, starting in the 1990s, people found it amusing or otherwise necessary to stick their gum to the wall while waiting for the tickets. The management tried scraping the wall clean a couple of times, but it didn't work. 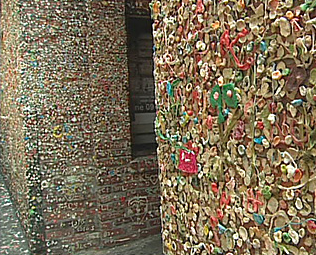 So now, the happy ending is that this disgusting tribute to inappropriate gum disposal has now become a tourist attraction?! Do I really need a picture of this? I like birds. But 130,000+ is a lot at one time. No one would let pigeons land all over them in say, Chicago, but for some reason, it seems that everyone that goes to Venice takes a picture covered in birds. In early 2008, Venice began banning the feeding of the birds: "Venice has long been concerned with the potential hazards the birds pose to human health, not to mention the damage caused by their guano and taste for marble." 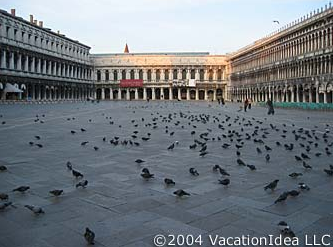 (The birds like to peck at the exposed marble of the buildings in order to consume calcium carbonate for their egg production.) Apparently, there are 40 TIMES the number of birds per square foot that " international studies propose as the optimal concentration per square kilometer." This can't be healthy. As an elementary school teacher, this one bothers me the least. We touch dirty things all the time. According to the article, "the sidewalk is littered with 246 celebrity hand and footprints that draw in 4.5 million visitors a year, many of whom put their own hands and feet on them. The site began as an accident in 1927 when Norma Talmadge, a famous actress 1920s, stepped into wet cement. 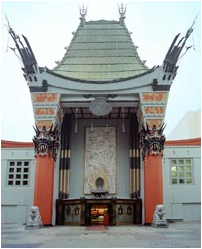 Creator and owner of the theater, Sid Grauman, decided to make the hand and footprints a tradition." What is the obsession with kissing rock? Thanks for acknowledging my point Tourist. I would just add a caution about labels such as "tourist" and "traveler", mainly because that's just what they are labels. They also have a way of sounding elitist. We are not all the same, some tourist get a lot out of their trip and some travelers are just bums and could care less about the culture. As you did say ... its the "mindset" that counts. Not the label you give yourself. So so true. I wonder if it's ever possible as a Tourist to get a sense of what it's truly like to live in a town, warts-and-all. I suspect not. swerple - the photo-uploading bike!